The most recent team of left hander David Price, the Toronto Blue Jays, may appear to be the team that Price most wants to play for in 2016 and beyond, according to a report by Robert Murray of BaseballEssential.com. Price was quoted as saying the atmosphere in the Rogers Centre was the best baseball atmosphere he has ever played in, and the long-term fit of him in Toronto makes some sense. Toronto has one of the best offenses in all of baseball and adding a front of the line starter for the long-term would solidify the team as a perennial World Series contender. With Marcus Stroman and Marco Estrada also solidified in the Jays rotation for the next few years, adding Price would make the Jays rotation that much better. The one substantial issue that may arise with the Blue Jays pursuit of Price, and may hamper their ability to sign him long-term, is the money involved in the sort of deal Price is going to be receiving. Price is looking to get a six to seven-year contract that will most likely near or perhaps even exceed a $200 million price tag. With that in mind, it remains unclear whether the Jays will be able to commit to the number of years or the overall value of the contract. It seems the Jays will be able to offer Price a good deal of money, perhaps five years and $150 million as an example, but they will likely be outbid. No matter how much Price wants to play in Toronto he will not take a large discount to play there. Another team that has been noted as having interest in a contract with David Price, more out of necessity than anything else, is the St. Louis Cardinals. While it is not entirely clear the Cardinals have given up in their attempts to re-sign Jason Heyward, it appears the Cardinals may have a bigger priority in signing more rotation help. Following the announcement of Lance Lynn’s tommy john surgery, the Cardinals rotation suddenly lacks as much depth, which is only multiplied with the departure of John Lackey and the injury concerns around Carlos Martinez’s shoulder. The Cardinals still have Michael Wacha, Adam Wainwright and Jaime Garcia, which still makes up a relatively formidable rotation, but they lack the depth they had in 2015. While the need is clearly there, the Cardinals appear to be more of a dark horse candidate for Price than one of the teams likeliest to sign him. The Cardinals are not a team that usually gives out large free agent contracts, and it appears that even with the injury to Lynn, the Cardinals may not want to change that strategy in the immediate future. Beyond that, the Cardinals likely won’t have the salary space for both Price and Heyward, so Heyward may become a priority over Price. It appears more likely that, given the strong top of the rotation the Cardinals already have, they will go after one of the cheaper, more middling options on the free agent pitching market this offseason. Next on the list is a team that took a giant step forward in 2015, and is looking to take an even bigger step forward in 2016. After signing Jon Lester, and despite the emergence of Jake Arrieta, the Cubs pitching staff was not deep enough to support their offense and get the team to the World Series. Enter David Price. The Cubs need added pitching depth, have some money they should be willing to spend, and have the same manager who oversaw the first segment of David Price’s career in Tampa Bay. For these three reasons, the Cubs have long been seen as the frontrunner to land David Price this offseason, even before the season was even over. Despite the obvious connections between Price and Maddon, and the obvious need in the Cubs current rotation, there are still several uncertainties around the potential of this match. While the Cubs clearly have the money to make this kind of move, it remains unclear whether they want to use the money for a front of the line starter or spread it out between lesser starters and upgrades that are necessary elsewhere, such as the bullpen and the outfield. The Cubs could spend all their available money on Price, or could a lesser starter like a Jordan Zimmermann and spend money elsewhere. Despite their increasing market size and increasing payroll, the Cubs still have to be smart about how and where they spend their money. The fit for Price makes sense but there are many variables to consider. 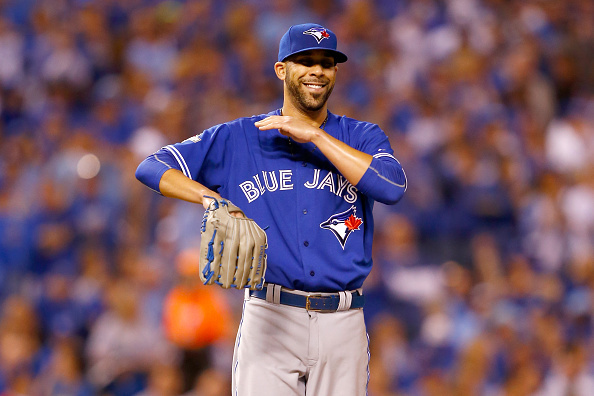 The team that makes the most sense as a fit for David Price in the National League is the Los Angeles Dodgers. The Dodgers have a definite need in the starting rotation, whether Zack Greinke decides to re-sign or not, and the Dodgers have more than enough money to convince Price to come to town if they want him to. Even with the likely returns of Hyun Jin Ryu and Brandon McCarthy from injury in 2016, the Dodgers still need some added depth in their rotation going forward in case either of those pitchers has any setbacks this offseason or next season. The possibility of signing David Price is all contingent on Zack Greinke. If the Dodgers are able to convince Greinke to come back, it appears increasingly unlikely that they would have the desire to spend the money for three aces. While the Dodgers arguably could spend as much as they like, as they have shown in the recent past, it appears more likely that if Greinke does come back, the Dodgers will look for a middle of the rotation pitcher instead of a high-priced ace like Price. Another thing the Dodgers must consider is the possibility of having too many left handers in the rotation, with Ryu, Kershaw and Price all pitching from the left side. This is obviously not a huge concern but is something that should be considered. The most obvious fit, and possibly the likeliest landing spot for David Price, is the Boston Red Sox. The Red Sox clearly have the biggest need of any contender in terms of their starting rotation and have more than enough money to get this kind of deal done. There was the possibility that the Sox would use their deep farm system to get pitching help but that possibility is likely gone following their acquisition of Craig Kimbrel using that prospect depth. Moving on from that, the Red Sox next priority is looking at the free agent pitching options. At the top of that list is David Price, and the Red Sox have the money to get it done. According to a report by Peter Gammons, several rival general managers see the Red Sox as the likeliest fit for David Price, given the teams ability to pay “$30 or $40 million more than any other team.” Dave Dombrowski is the new man in charge in Boston, and he knows how important having an ace of David Price’s caliber is to fielding a winning team (given Price was on the Tigers with Dombrowski in recent years). With this in mind, it is hard to bet against the Red Sox as the top fit for Price. Even if Price does not want to play there, which has been rumored by several people within the game, money talks and if the Red Sox front office is willing to pay him that much more than anyone else, he will be playing in Boston come 2016. The incessant “Chapman is a reliever/ doesn’t have starter mentality” crowd amaze me with their ostrich head in the sand routine. After all, we’re talking about the most physically gifted left arm since Randy Johnson. A once in a generation left arm, if not a lifetime. Chapman came into the league with a devastating wipe-out slider. I remember it well. At least one secondary pitch was already there. He also came to the Reds as a starter for the Cuban national team. Why, pray tell, would you not at least try to harness that elite talent into a starter? The value of a top tier starter far surpasses ANY reliever, even Riviera. Best case scenario: Chapman develops into a top end 2 or 1b to Cueto’s 1a. That makes them virtually unbeatable in a short series. Worst case: Chapman doesn’t cut it as a starter. Move him back to the pen. Use him in high leverage situations to maximize his pen value. It’s borderline criminal to not have at least given Chapman 50-60 starts to try. He’d also be worth twice as much as a trade chip with any sustained success. The Red’s flat out failed on ths one. There’s absolutely no way to spin it or sugar coat it otherwise.